HBA offer a personal and professional service for anything from a few hours consultation, at any stage of a project, to a full Architectural service. Work is tailored specifically to the clients brief, site or existing building and we aim to provide a consistent level of service irrespective of the nature of the client or the scale of the project. The contract value of projects has ranged from £10K to £2.5million and included new buildings, extensions, conversions and specialist conservation projects. 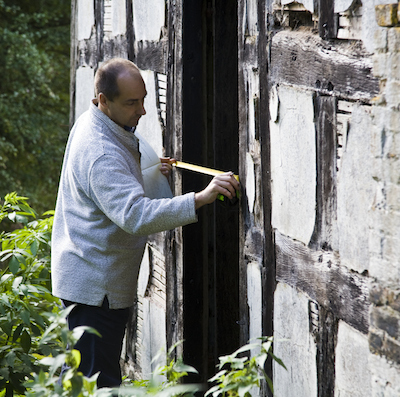 HBA have worked for private clients, Buildings Preservation Trusts, The Churches Conservation Trust, English Heritage, Community and Neighbourhood Associations, District and County Councils and Government Departments. HBA are committed to delivering the highest standards of design and construction to create buildings which contribute positively to the environment, are energy efficient and suited to modern life. Sustainability lies at the heart of our work, ensuring that the legacy of the past, with all its embodied energy and memory continues to serve the needs of present and future generations. HBA have particular expertise in achieving Planning Permission and Listed Building Consent where imaginative and carefully considered design are an important aspect of securing consent.